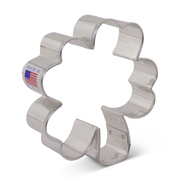 Get lucky with the 4" Shamrock Cookie Cutter. 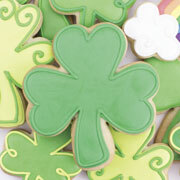 Perfect for St. Patrick's day, or any other time you want to add a little Irish flair to your life. 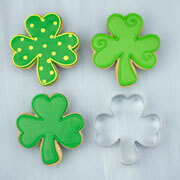 Besides cutting out cookies, also use for clay, crafts, and tracing. 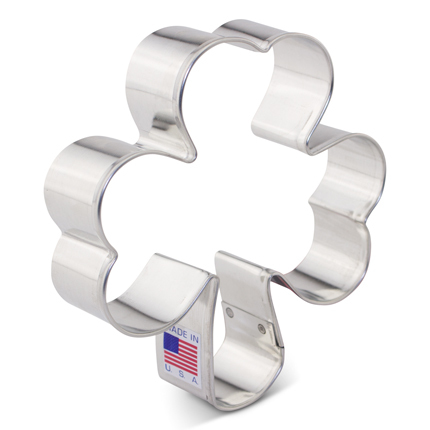 All of Ann Clark cookie cutters are of very good quality & I am very pleased with all of the items I have ordered from them & I love the fact that they are made in the USA. The shamrock cookie cutter is great. The edges are sharp, the turns are nice and crisp, was perfectly aligned. 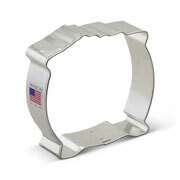 The shipping was quick, and everything arrived in a box so no worries about smushed cookie cutters. 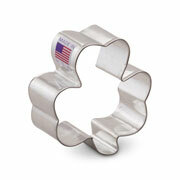 Will be ordering more cutters in the future.